How many times have you looked at a child and said, “That kid has no fear!”? Perhaps as they are jumping off of the couch or climbing a chair to reach for something on a counter top, or running toward the road? Childhood is a wonderful period of exploration, innocence, and love. It’s exciting and magical. It can also be scary. That same kid that is fearless during the day, may be frightened by the dark and is afraid to go to sleep at night. Many kids are afraid of bugs, or birds, thunder storms, or monsters or villains, or anything their imaginations can dream up. A local (to me) artist, Jes Karakashian, is on a mission to help kids alleviate their fears with their very own personalized Worry Monster. She started making them because a friend of hers expressed concern that her daughter was having a lot of trouble sleeping. Anxiety and worry kept her awake. She thought maybe having a kid-directed project where the kid is an integral part of the creative process would help with confidence, thus alleviating fear or anxiety in other areas of their lives. Monsters are usually big and scary and something to be feared. 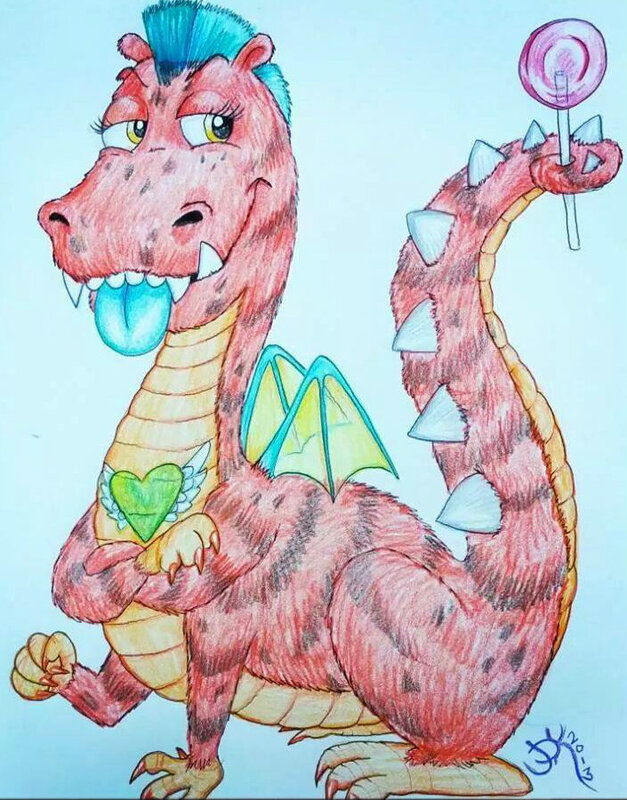 Jes figured that if she could rein that in and twist it so the monster is the bodyguard, the friendly figure, the shoulder to lean on, maybe that would help a child deal with some of those worries and anxieties kids deal with nowadays. She starts by asking a kid for a set of attributes. Attributes include color of fur or scales or any combination, whether they have horns, spikes, wings, sharp teeth, dull teeth, long tongues, tails; how many eyes, ears, feet, hands etc. 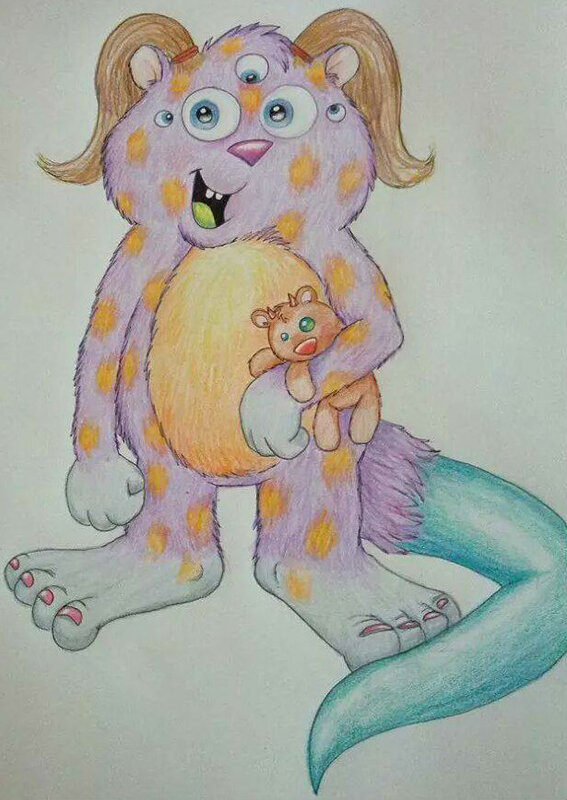 their monster has; if it’s a boy or girl, if it’s brave, scary, or nice, tough or sweet; if it’s holding anything (teddy bears are popular, she’s had requests for candy as well), and any other identifying marks to make it as personal as possible (she did one with a chest tattoo for a little girl!). 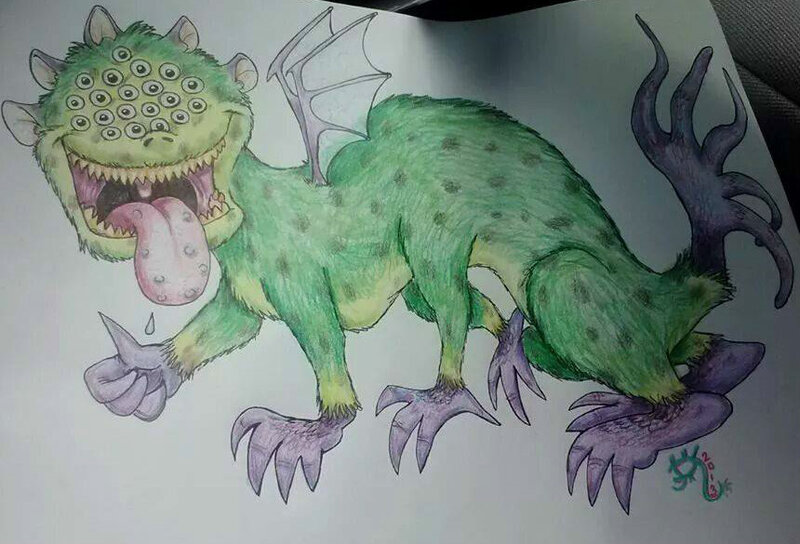 Once the child gives her a description of what their monster should look like (as imaginative as possible), she sets to work putting the creature on paper. They can then name it and assign it a worry to combat. No two Worry Monsters are the same, and the kids enjoy having a personalized monster friend that they helped bring to life with their imaginations. 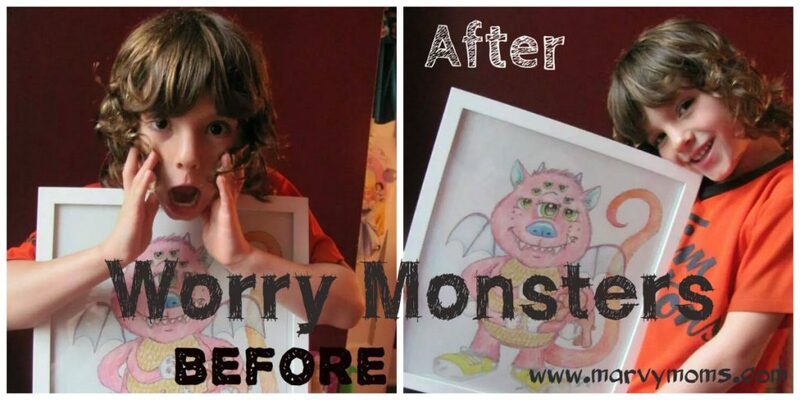 Most of the kids frame their monsters and hang them in their bedrooms. Jes advises kids to tell the monster what they’re worried about, and talk to the monster anytime they feel afraid or nervous. She reports great success with her friend’s 9-year-old daughter after giving her a worry monster. She had been afraid to go to sleep. The worry monster solved that issue overnight. “It’s gratifying to know I can help a kid feel comfortable through my art, and working with kids on these monsters is incredibly fun.” says Jes. 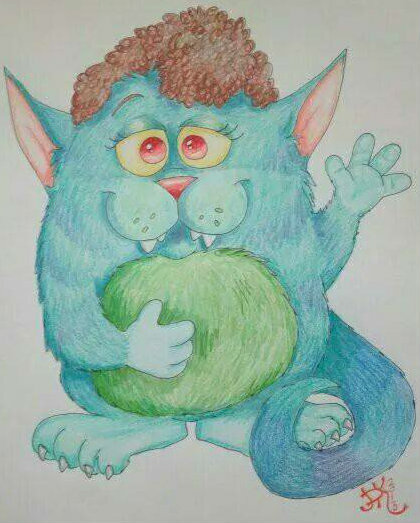 It takes her about a day or two to compete a monster and she charges a very reasonable $20 flat fee for a worry monster illustration done in color done on 9″x12″ paper. “I feel art should be affordable and this type of art especially needs to be easily accessed by everyone who might need it.” says Jes. 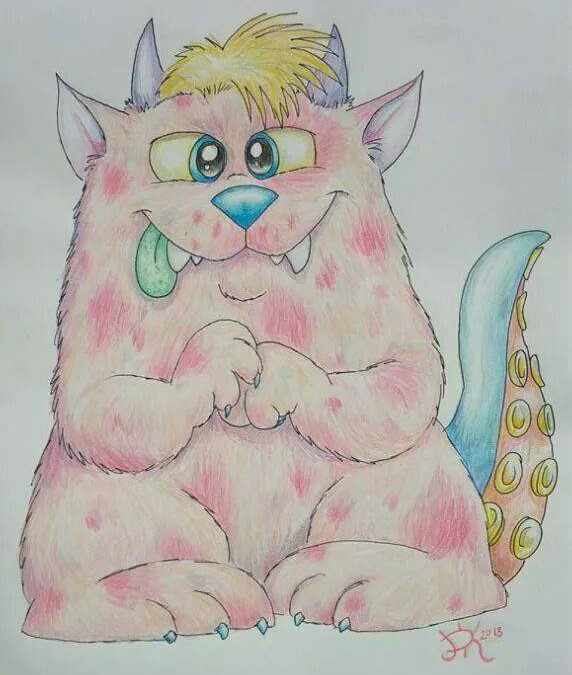 Jes Karakashian has plans to work with kids stuck in the hospital and do a few gratis worry monsters for them. Great, idea Jes! Interesting fact about Jes: she also creates pictures of zombies that will scare your children (and hers). See her array of artwork on her Jes Karakashian page on Facebook. 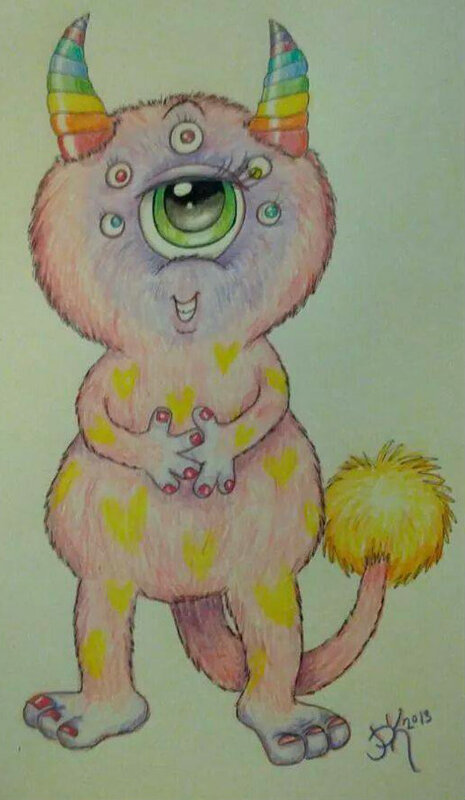 I asked her to create a kid-friendly page with just Worry Monsters which you can find and like at Worry Monsters by Jes Karakashian on Facebook. This one is safe to show your kids and give them ideas for their very own guardian Worry Monster. Now for the fun part! Jes is giving away a Worry Monster to one lucky winner! Enter your email address and name below and then click on the circular arrow to reveal entry options. The giveaway is open to residents of the Continental United States ages 18+. 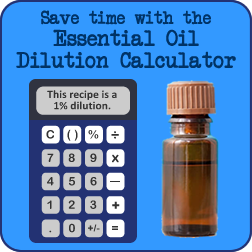 You have until 11:59 pm on August 10, and one lucky winner will be selected on Monday August 11, 2014. They are adorable, with Emeralynn’s imagination this is something I am going to look into! This may sound silly but my daughter is going away to college and is nervous about all that goes with that! How fun would it be to have a Worry Monster in her dorm room!! What a wonderful idea, Vicki! I would have loved one in college! You might want to seek out Jes since it was her idea!